Elán Sandcastle Shores Apartment Homes for rent in Carlsbad, CA is a beautiful coastal community that offers nearly seven miles of beautiful beaches, picturesque lagoons, and the charm of a European village coupled with world class golf, spas, and shopping. From shopping to water sports, our community provides an abundant mix of recreational pursuits. Our residents enjoy the right mix of fun, fashion, and sun. The community offers newly remodeled apartment homes with fully equipped kitchens, faux finished granite counter tops, spacious mirrored closets, and open breakfast bars. The community also boasts private balconies and patios, a sparkling swimming pool and relaxing spa, an on-site laundry facility, garages available to rent, and friendly on-site Staff with full-time emergency Maintenance to meet all your maintenance needs. Elán Sandcastle Shores welcomes cats; please see our pet policy as some restrictions may apply. Perfectly situated between the glamour of Los Angeles and the laid-back lifestyle of San Diego, the world is at your fingertips while your toes are in the sand. Enjoy major retail shopping at the Carlsbad Premium Outlets or visit Southern California's famous attractions including LEGOLAND California, SeaWorld, Disneyland, and the world-famous San Diego Zoo. 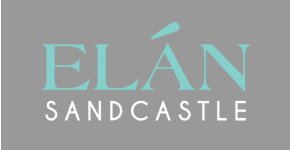 The good life awaits you at Elán Sandcastle Shores!